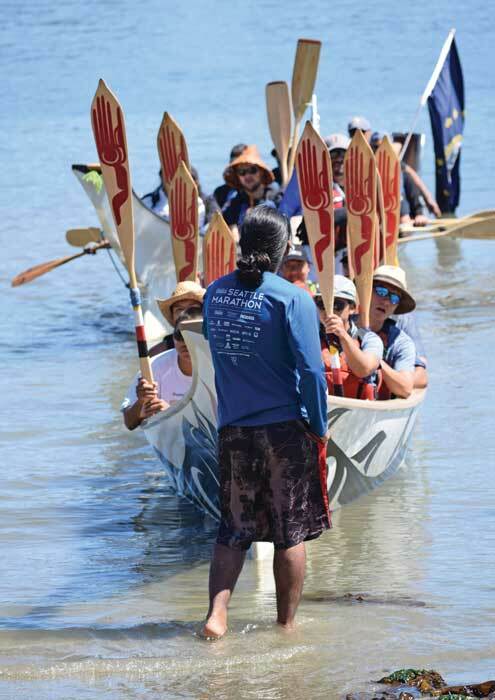 Participants in this year’s Pulling Together Canoe Journey wrapped up with the gift of a new song that will bring people together for years to come. Pulling Together 2018 took place from July 3 to 11, and involved 15 canoe families who travelled from Esquimalt to the shores of Stanley Park. 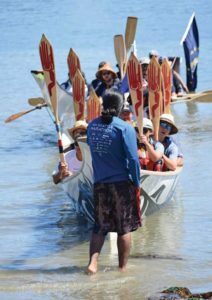 As the pullers were nearing the end of the eight-day journey, Patrick Aleck of the Stz’uminus and Penelakut nations gifted the group with “the Equality Song” before his canoe family headed home. 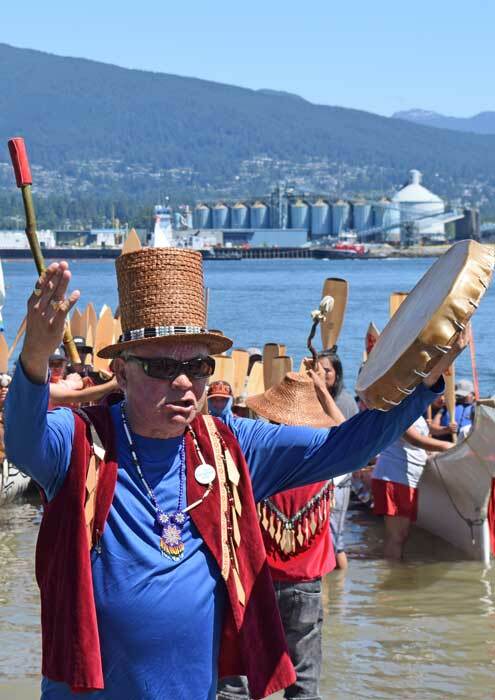 Wes Nahanee, the journey’s protocol advisor from Squamish Nation, said the song made a huge impact. Aleck said the song came to him while he was at home one day. He works with children in the foster care system, and they helped him to come up with the name and meaning. Aleck said he tries to bring the Equality Song everywhere he goes and plans to sing it at Tribal Journeys as well. He purposefully gave the song an English name to make it accessible. “I’m honoured that people love it and I encourage people to continue to sing it, as long as they respect where it came from,” he said. 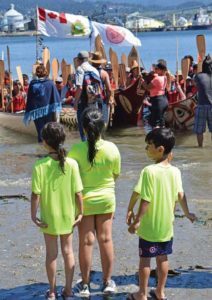 The annual Pulling Together journey began in 2001 as a way to grow understanding between public service agencies—primarily law enforcement—and Indigenous people. Many youth organizations are also involved. Tim Rich, an organizer who works with the Vancouver Police Department, said the journey has been transformative to him as a non-Indigenous person. “It’s one of the coolest experiences I’ve ever had,” said Rich, who has been involved in Pulling Together for the past five years. Rich said there is a lot of work that needs to be done in the way of reconciliation, but he believes that the journey is part of putting that concept into action.